Ever since I jumped on the PLEX bandwagon I have been tuning, testing, tweaking, and otherwise knob-turning to see exactly how things perform. I have built my own Internal Plex Server, tested the PLEX Cloud offering and even built a couple PLEX Virtual Private Servers. All have proven to work well in different ways. Something I also am a fan of is running what was known as PlexPY that has been renamed to Tautulli because I can see real-time stream data in more detail than on the PLEX server itself for troubleshooting. What I can tell you is there is ONE common issue among all my users that prevents them from getting the best stream and playback. The secret to improving this is very simple. 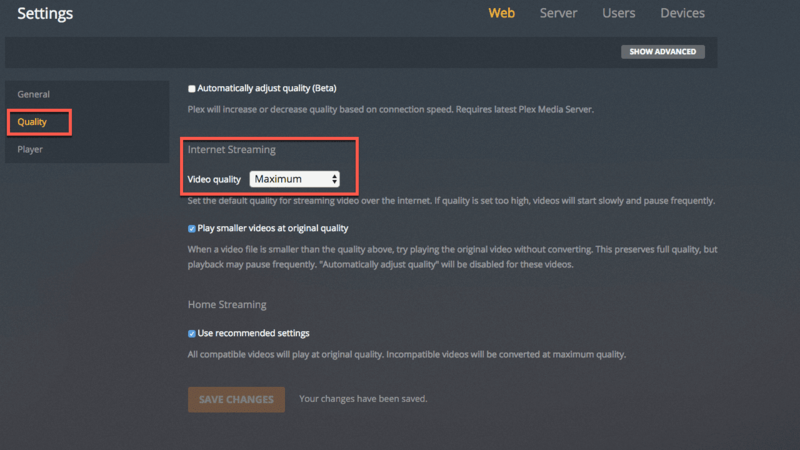 The first thing is that if you are a PLEX user that is NOT hosting your own server every single stream you playback is considered “remote” or “Internet Streaming” in the context of most of the player clients. Most files those of us that host PLEX servers have can be direct played to your client provided there is enough internet bandwidth on both sides without the need to Transcode or alter the stream. Transcoding can create some performance issues as well as affect the playback. In some cases you cannot avoid it but if you want to see if you get better playback try this simple trick. 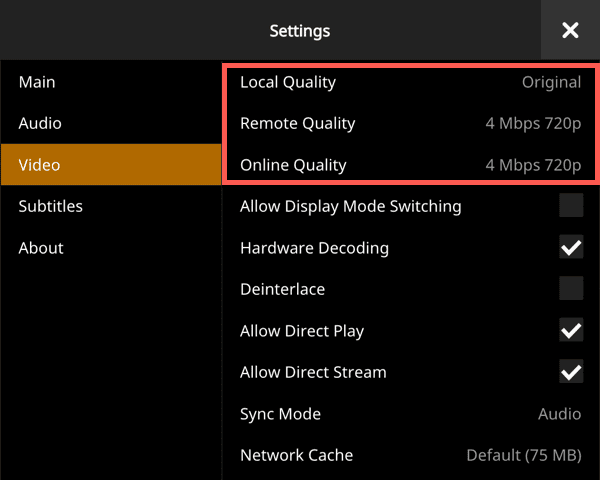 You may need to look around in the different client settings to find it but you want to locate these video settings called ‘Internet Streaming’ or ‘Remote Quality’. You may note that by default REMOTE and ONLINE are set to something lower than “Original” or “Maximum”. This is what you want to change to increase the setting ON EVERY PLAYER YOU USE!. Some players seem to use the term “Maximum” and others use the term “Original” but just push these all the way up. You can also try adding the setting to “Automatically Adjust Playback” if needed. If you are working on a server like my VPS setup there is very little in the way of internet bandwidth issue on the server end so you should get the best video possible. If you are working with someone hosting it themselves their upstream may bog down the stream and convert it to a lower setting. This was my primary reason for building a VPS for my users to maximize their experience and remove the bottleneck of my upstream limitations even on a business account. That’s it! I am surprised this setting seems to be defaulted on all new player setups I have seen to something other than the highest settings. It may have been set by another server or by the “Automatically Adjust” option but it’s worth always going back to check it periodically. 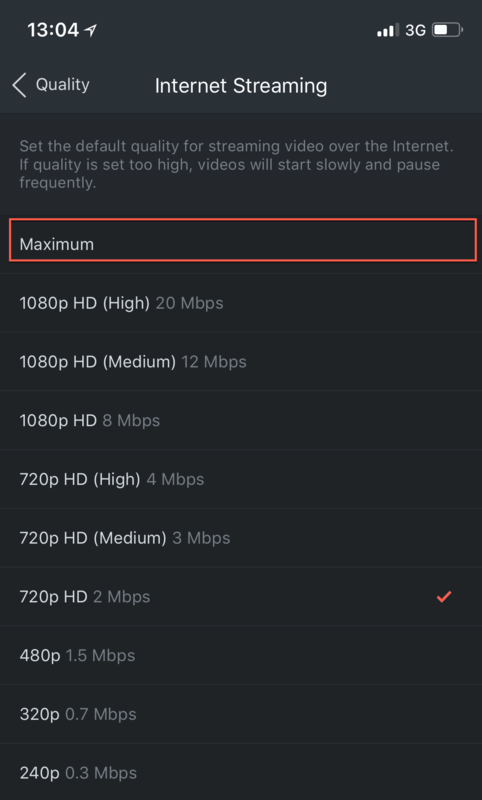 For what it is worth this is the ONLY way you can playback 4k UltraHD streams from any server, PLEX local or remote. That is something I am still trying to test out.